High resolution images scaled down in Illustrator are blurry when zoomed in as PDF in Adobe Acrobat? I am working on a label print design. Some of the elements are raster images. These images are GIANT - great resolution. I basically flattened the PSD file I was working in. Than opened that PSD file into illustrator and copied the flattend element over embedding it into my document. After I embed them into my illustrator file and resize them smaller to fit; I then save it as a PDF file. When I zoom in on the pdf file the raster elements are very blurry while the vector elements are not. However the images are so big that even when zooming in smaller than the original raster image size it still shows blurry. Any thoughts? Thanks! Raster images do not retain their original size/ppi when saved/exported to PDF. Even if you set the PDF options to not downsample raster images, the PDF will retain the raster data at the size and ppi it is currently displayed at. Acrobat, and the PDF format is not a "link" to the original image data. PDFs contain "embedded" output data. If you want the original PPI you need to ensure you do not scale raster images in Illustrator. In addition, upsizing (or zooming in on) a raster image will always lead to a less clear appearance, regardless of any method you use. You are kind of seeking the impossible - a dynamic image which alters it's resolution based upon it's scale. That's just not how PDFs work. Not the answer you're looking for? Browse other questions tagged adobe-illustrator print-design pdf or ask your own question. What are the limitations of the option “Preserve Illustrator Editing Capabilities” in Adobe Illustrator CS5? 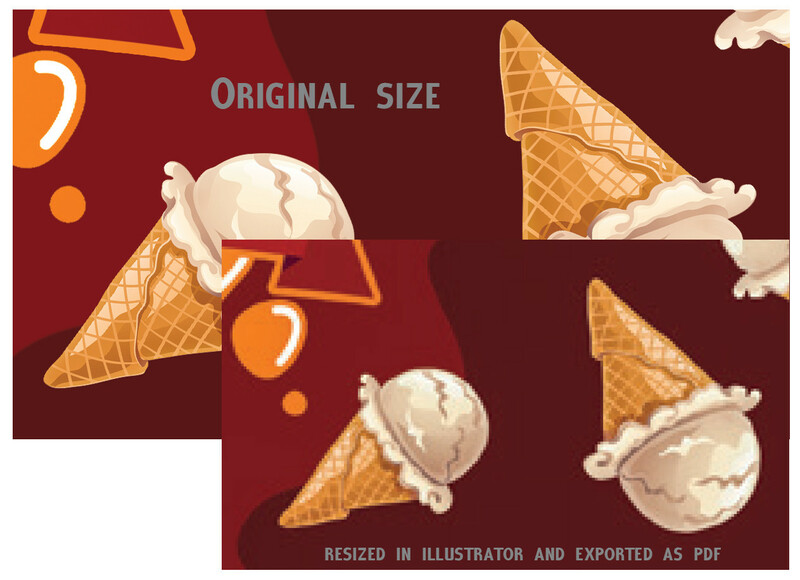 “placed” Photoshop images in Illustrator - blurry when saved as .pdf?